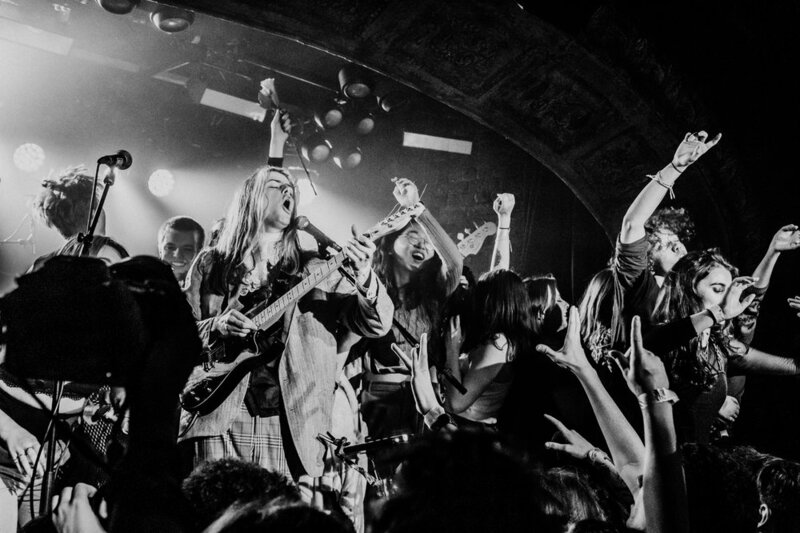 The four piece band composed of Ben Gregory, Frank Wright, Scott Roach and Harris McMillan step on to the stage and their loyal fans instantly scream. 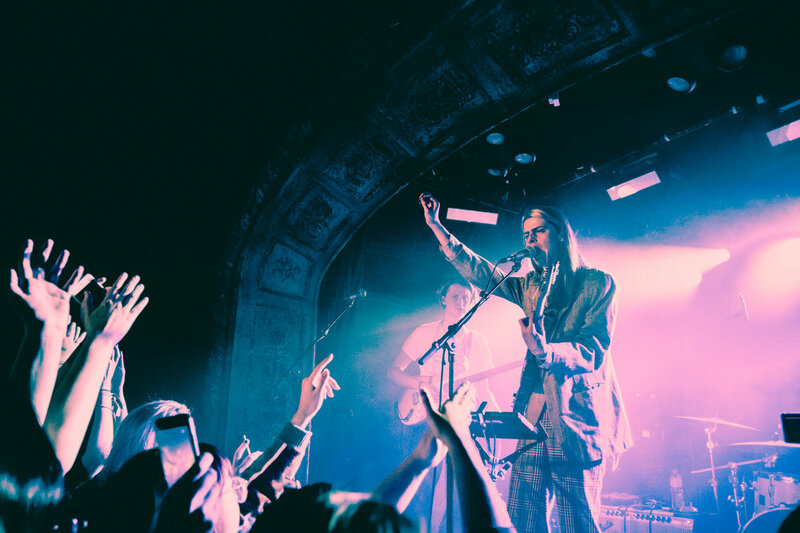 The lead singer Ben Gregory is clad in a wonderful suit that seems to take inspiration from both the 70’s and the Victorian era, a combo that you may not think would be harmonious but somehow is beautifully striking. The Wednesday night at OMEARA was already set up to be a special evening before a beat of music was played. 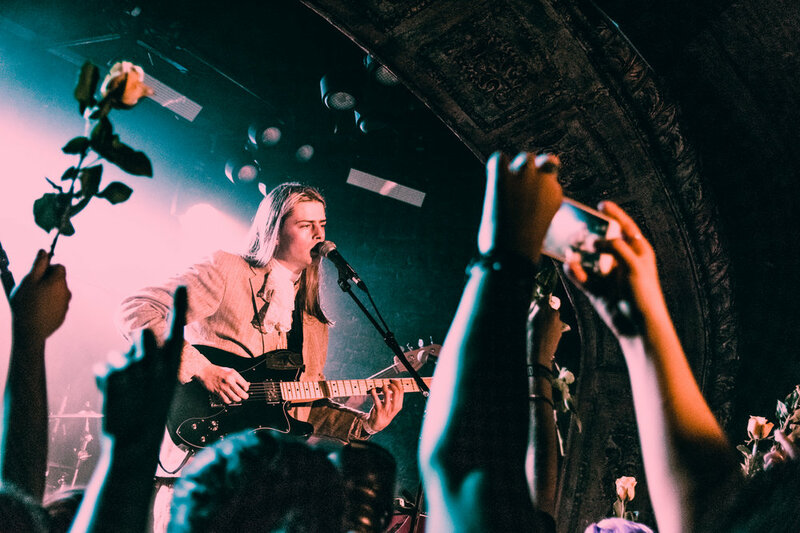 With Blaenavon having taken a short break from live shows, the band’s return on the 23rd of January coincided with their ten year anniversary, creating an atmosphere of excitement amongst the crowd that was tangible between the support and Blaenavon coming onto the stage. 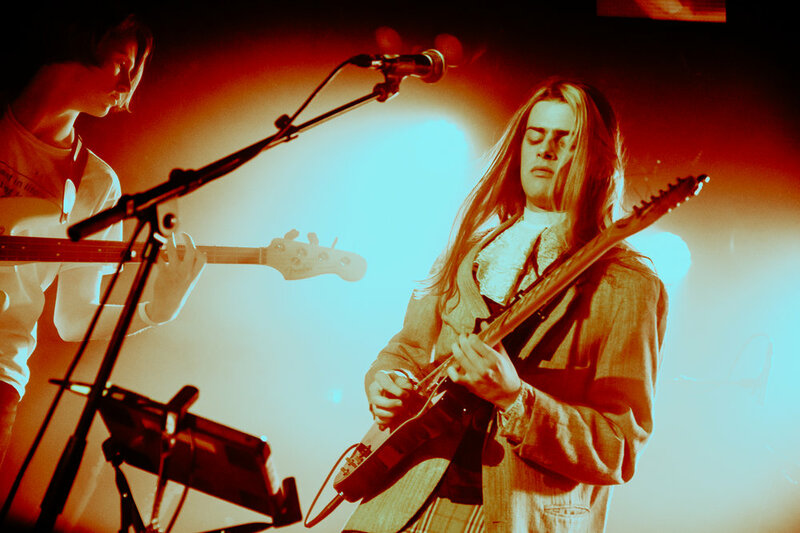 Despite the apprehension for Blaenavon’s return, the support act Roman Lewis was utterly captivating. 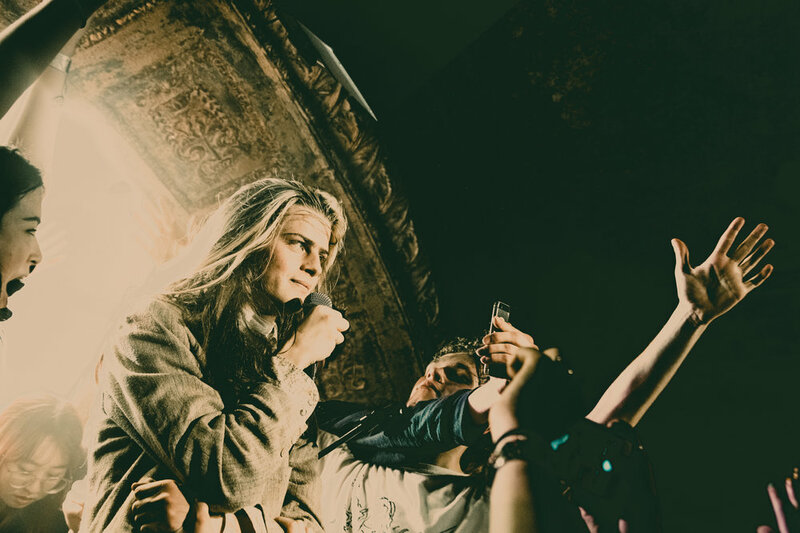 The simple man and his guitar act can sometimes seem overdone, especially to a crowd full of such passionate fans waiting for their favourite band. However Lewis was anything but, his incredible vocals commanded the venue and his charismatic temperament made for an unexpectedly great act. I was especially drawn to the lyrics in “mindless town” due to their emotional nature, I would highly recommend checking out his newly released album “Heartbreak (for now)”. 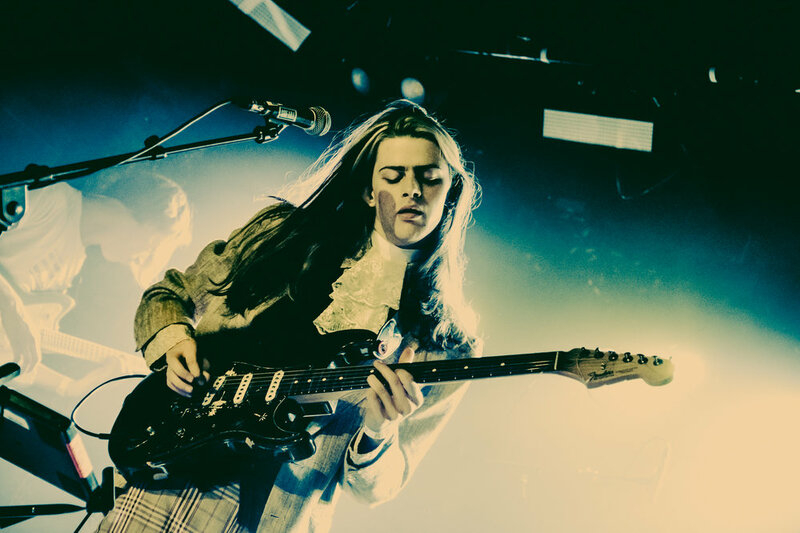 Blaenavon opened with “Catatonic Skinbag” their new single that seems to be especially close to home and lives up to the musical excellence of their previous releases. 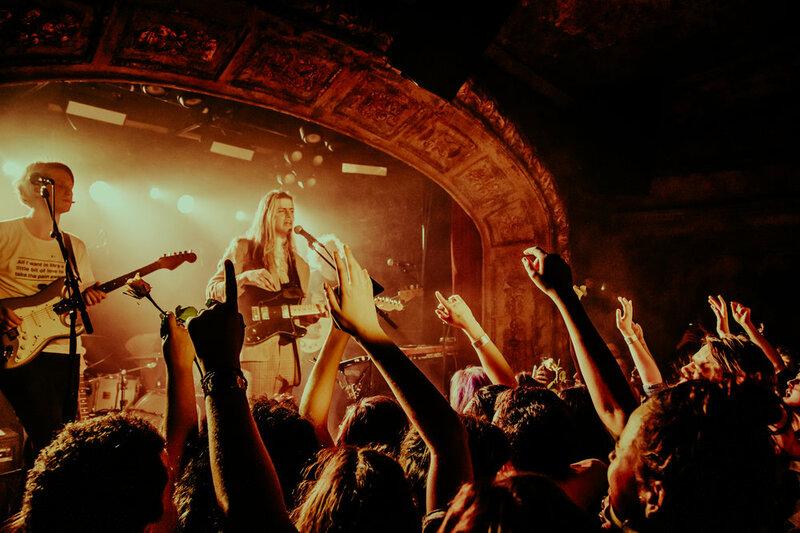 The crowd made no hesitation in opening the pit for the majority of the songs and although the love for Blaenavon was palpable throughout the concert, I would have to say that the highlight came at the end. 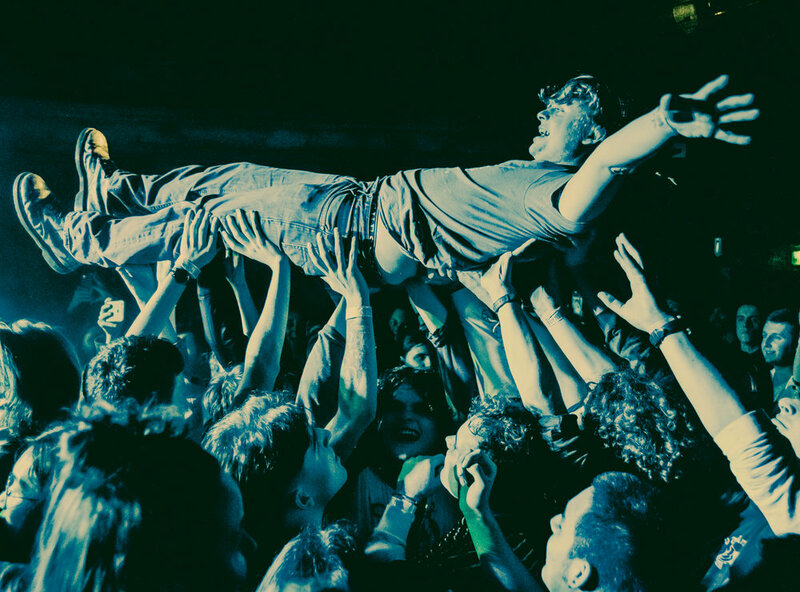 Although it was obvious from the crowd chanting “We Love You Frank” or “We Love You Scott” between songs that the majority of people there were long time fans. Towards the end of the gig Gregory gave out yellow roses to the people in the front row, which made for a beautiful aesthetic at the very least. 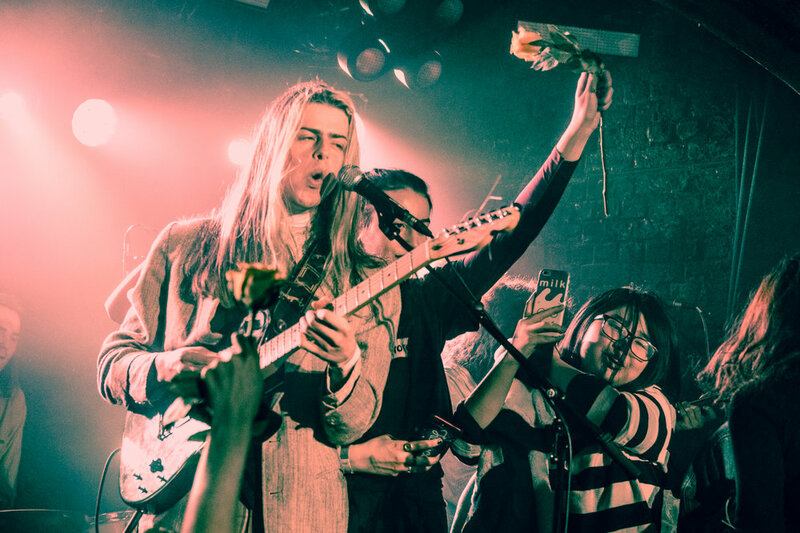 Then, at the end of the last song, a few girls got up on to the stage and started dancing with the band, already this was slightly unusual but what followed was heart warming. Each person on stage was pulling more and more people up, until the stage was full to the point of it being slightly dangerous. 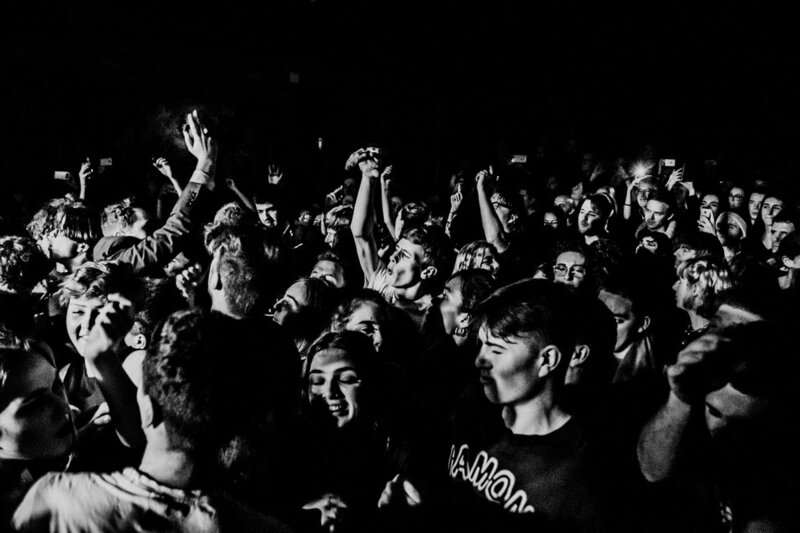 But unlike with some crowds where this would be motivated to just get a photo with the lead singer, everyone was simply just enjoying themselves and it created the most loving atmosphere I’ve maybe ever been apart of at a gig. And the best way to end what was already an amazing night of raw and beautiful music from some inspiring individuals.